Hello and happy Saturday! 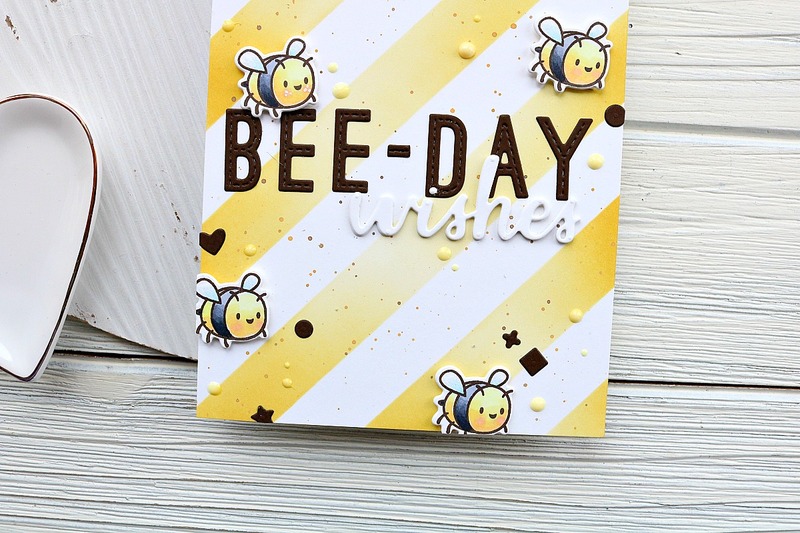 I’m back to share my last post with Whimsy Stamps as a guest designer. It’s been so fun working with Whimsy and being able to use their awesome products! I can’t believe it’s over already!! Today I’m jumping seasons and sharing a winter card using some of there awesome products. Let’s take a look! I just love this penguin stamp called Snowflake Penguin. It had been such a long time since I’d used red rubber stamps prior to working with Whimsy Stamps, and it was so great to be able to use them again! They stamp like a dream. I colored him in with my Copic markers. Because I wanted the ground to extend past where the actual stamp went I used my Copic multiliner to draw in some more snow/ground so that it would cover the width of my card. I fussy cut the little guy out and set him aside. To create my background I used some purple and blue alcohol inks to create this arctic looking sky. I love the way it turned out! I heat embossed the word Favorite from the You’re My Favorite stamp set with gold embossing powder at the top of the alcohol ink piece. I love this scripty font. To finish the sentiment I stamped “time of the year” with VersaMark ink as well and heat embossed white embossing powder over top. I trimmed that down and added it to the card with foam tape. I adhered my fussy cut penguin over the alcohol panel and, of course, I had to add some white gel pen accents. 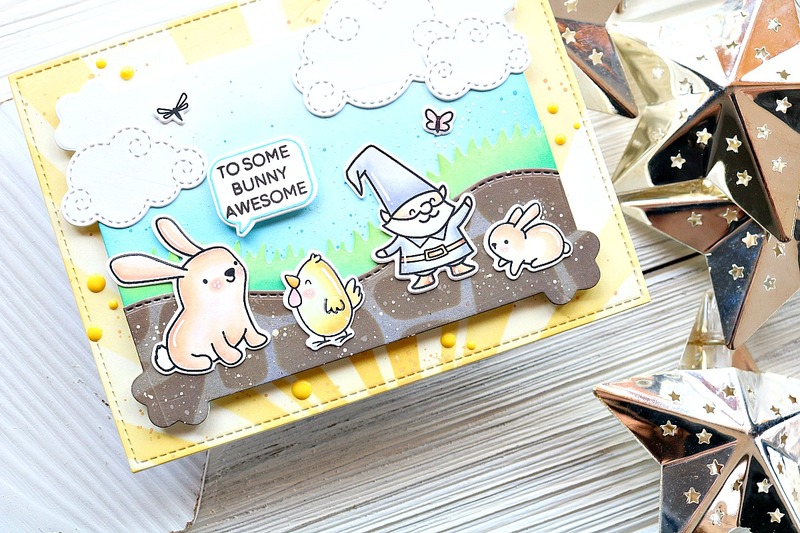 And that is it for my very last post as a Whimsy Stamp guest designer! Like I said, I can’t believe this month is over! It was so fun working with these adorable products, and I’m thankful to have been given the opportunity to do so! Thanks so much for stopping by today, and I’ll see you again soon with another card!! Welcome back! 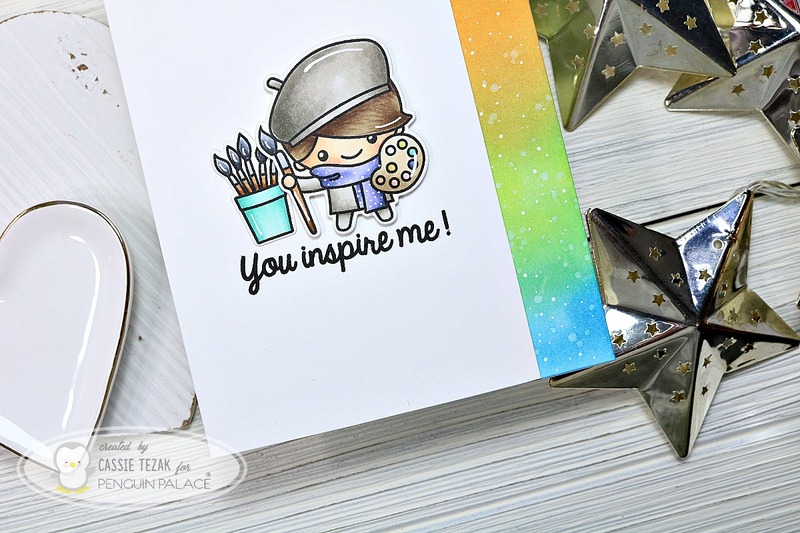 Today I’m so excited to share with you my preview for the Your Next Stamp September preview. This month we have a really fun release and it’s all available for purchase 9/13. There are so many adorable products coming your way this month, let’s dive right in to my preview! I used the cute new Autumn Harvest stamp set with this sweet little scarecrow and the new Grass Tufts die. I’ve been really into my alcohol inks lately, so I made this fall looking background and die cut the new Falling Leaves Panel die from it. I love the way it turned out! Isn’t that so fun?? I heat embossed a sentiment from the set onto the Cool Tag Five die and trimmed off the top. There are so many cute images in this set, you’ll swoon over it! Well, that’s it for my preview for today! I hope you liked the card I made. Be sure to head over to the Your Next Stamp blog and see the rest of the team’s previews and get a look at all the new products! Like I said, it’s a great release!! Thank you so much for stopping by, and I’ll see you again soon with another card! Your Next Stamp Blog Hop! Hi everyone and welcome to my portion of the Your Next Stamp blog hop to celebrate the new May release products! This release is so fun and the products are so cute, you won’t want to miss any of it! You may have seen my preview project which featured the adorable Punny Pineapples set. This is one of my favorite new stamp sets from the release. It’s so summer and fun! I just love it! Another favorite of mine from this release is the Tiny Sliders dies. They are perfect for making cards with sliding elements. For my first project today I paired them with the Totally Narly stamps for a cute underwater card. How sweet is that jelly fish?? And those new gumdrops are so gorgeous and sparkly! Lastly, I made a card using the new Freeze stamp set which features police officers and some great sentiments for them. I paired it with the new Wave Panel Die which I am so excited to use over and over. How fun is that? I can’t get enough! When you head over to make your purchase of the new release, be sure to use this coupon code to get 20% off your order! That’s an awesome deal, especially for new goodies. There’s a lot more amazing projects to see and great products to discover, so be sure to catch all of the blog hop by clicking the blue box below. It will take you to the hop list. Thanks so much for stopping by! I hope you enjoy the rest of the hop!